A continuous plague, not just in gaming, but in real life, is the continued use and belief in non-Mendelian genetic inheritance. This can be particularly hurtful towards, and irritating to, POC who identify as “Mixed-race” individuals. This is because non-Mendelian ideas of inheritance come loaded with social stigmas and pervasive stereotypes that we still labour under to this day, despite serious science’s rejection of them. This affects gaming by reinforcing negative impressions of the “half-breed” player races and by extension, actual people of mixed ethnicity. When Gregor Mendel did his work on peas, he immediately disproved the existing ideas about what we now know as genetic inheritance. If you need a quick crash course in Mendel’s work, and Punnett Squares, check out this video. Unfortunately, the more common sense sounding “Blending” inheritance model and the disastrous aftermath of the laws designed to classify ethnicity via blood quantum and one-drop laws continue to affect us both in reality and in game. So buckle up, this one is going to be a bit science-y, and then I’m going to look at how fantasy races (species?) act as the other, and reinforce real world prejudices and beliefs. 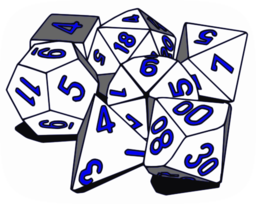 As previous, D&D will the fantasy gaming world I’m examining, as it is the most prominent and popular. What Makes a Good Campaign Setting? After the diatribe of the last post, I think it’s time to talk about what makes a good campaign setting for a fantasy RPG. I’ll put this out now: this is my opinion, and I do not speak for the entire POC community on the topic. As a POC gamer, I look for the same things than non-POC gamers do in game. I look for fun, immersion, and emotional investment in what is going on. Some campaign settings make this difficult, others make it nearly impossible. I mentioned before that POC are demanding more recognition, and equal recognition in the worlds of SF&F. The same problems and issues acting as barriers to POC occur in both SF&F gaming and literature, where publishers gleefully whitewash (replace minorities with lighter or white characters) cover art for some books under the belief that people (read: Whites) won’t buy books with non-White human protagonists. This trend carries on into interior art in the case of game books, and with the assumption that White is the “default” setting of humanity, and everything else deviates from that, and that gamers won’t or don’t want to buy or play games featuring non-Whites prominently. The subject of inclusiveness shouldn’t be an issue, but, unsurprisingly, it is.